Nothing ushers in autumn like the vast supply of crisp apples. Use this apple-centric recipe as an afternoon snack for the kids or add granola into the mix for a twist on breakfast. Warning: devour these over a plate, as they can get a bit messy. Also, change up the ingredients depending on your child’s tastes—using dried fruit like dried cranberries or mangoes and chopped nuts instead of the coconut and raisins. 4 servings. Core each apple and thinly slice into about 10 to 12 pieces each. Spread the apple slices onto a large plate. Drizzle with lemon juice to prevent the apples from browning, if desired. In a small bowl, mix together peanut butter and hot water. 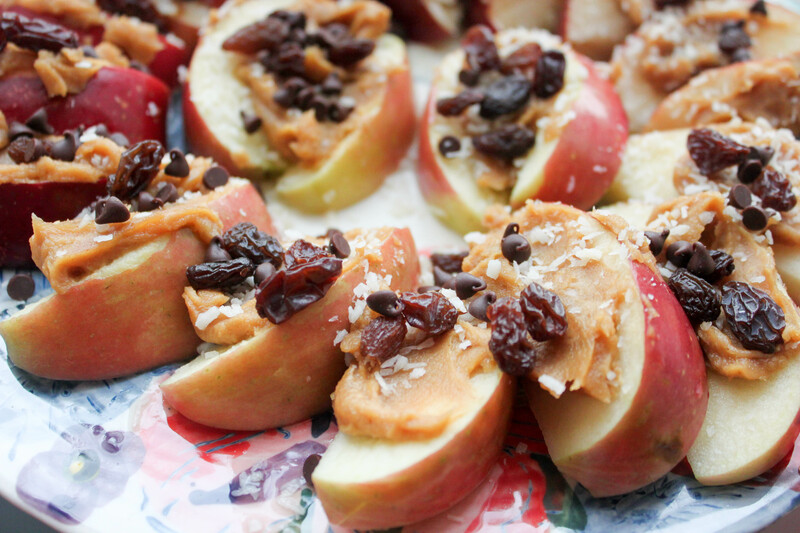 Use a spoon to dab peanut butter onto each apple slice until all the peanut butter is used. 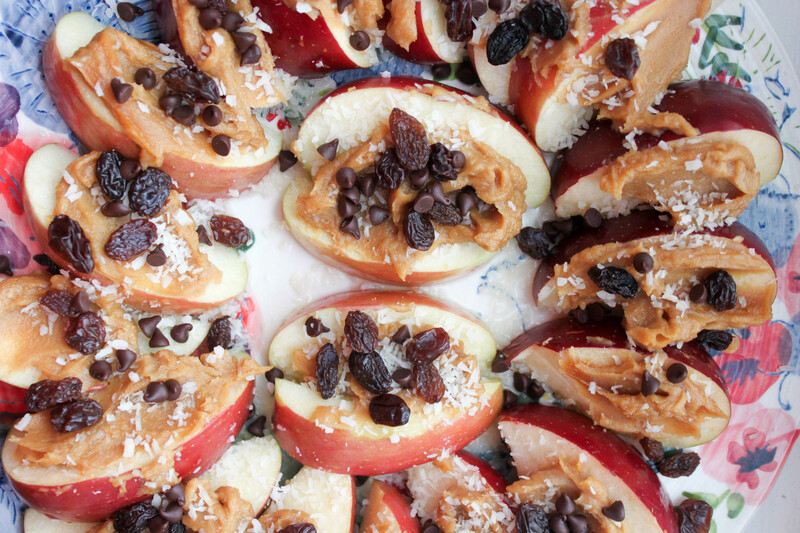 Sprinkle with coconut, raisins, and chocolate chips. Serve.